It seems wherever we go, be it in the UK or somewhere a bit further away, we always end up in a food hall or street food market. And that’s no bad thing, since we regularly eat the best food of our trips when eating visiting them. 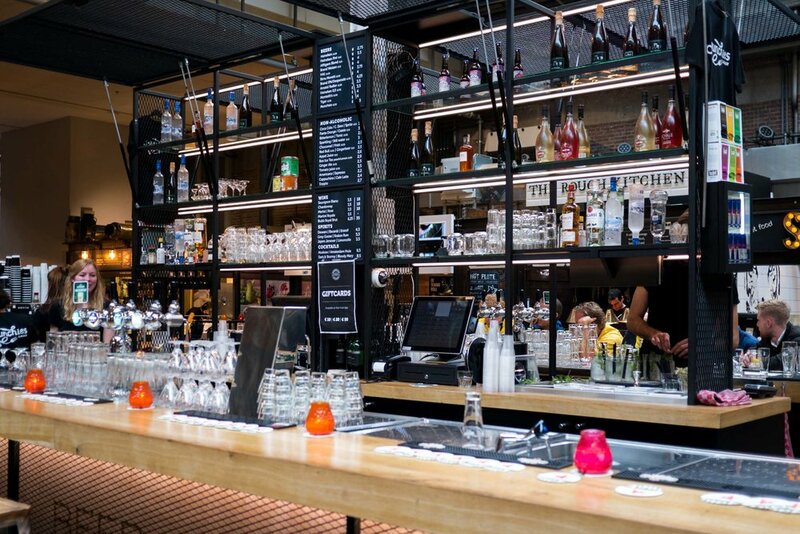 Admittedly Foodhallen was somewhere we found before we even landed in Amsterdam and 100% wanted to visit even if it was a bit of a walk away from our base for our trip, Ink Hotel. 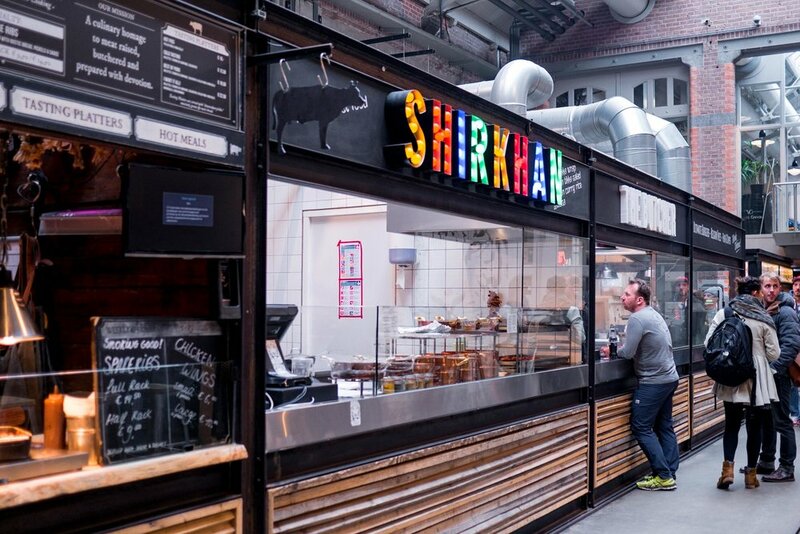 No matter where you looked for Amsterdam food suggestions this place kept cropping up time and time again and knowing it's been Inspired by London's Borough Market & Madrid's Mercado De San Miguel it would of felt wrong if we didn't at least have a nosey inside! Foodhallen homes around 20 food traders and a couple of bars inside an old converted tram depot. Whether you're dancing Spanish, Mexican, Vietnamese, Indian, Italian, Japanese... (you get the idea) there's guaranteed to be something to tickle your fancy, but good luck narrowing down your choices because everyone appears to make so much amazing food. We ending up picking up a portion of tacos from Taqueria Lima, and then going back for seconds despite the fact we wanted to try a few different vendors but we couldn't resist having a second batch of the best tacos we'd ever tried! The star dish being the Chipotle Braised Beef with fresh herb salsa, pickled cactus and sour lime cream - if that doesn't have you salivating at the thought are you even human? 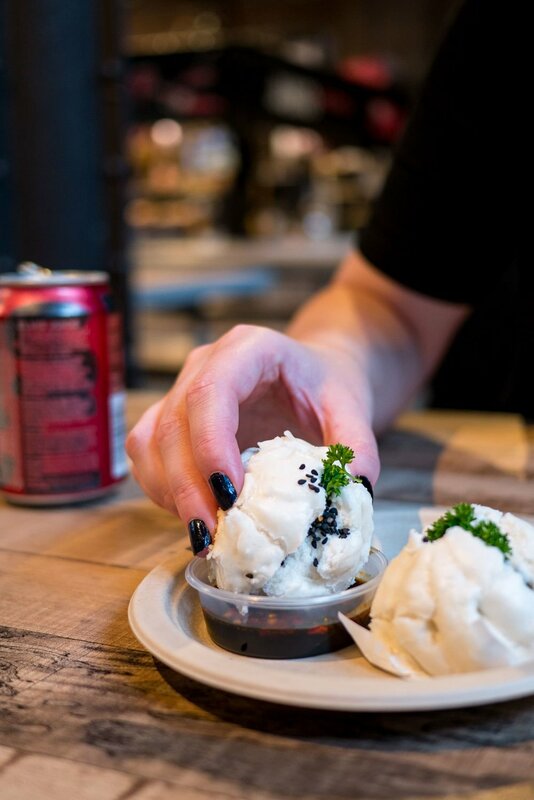 Never ones to say no to a steamed bun we had to order some BBQ pork buns from Dim Sum Thing too which were as equally heavenly and well worth opting for. With plenty of craft beer on offer we picked up a couple of brews from "back home", we're talking Elvis Juice by Brewdog, if you're lucky enough to have a Brewdog bar near you pop in because they always have something pretty special on tap. We also opted for something local too, giving the Two Chefs Brewing Green Bullet a try which is a pretty easy drinker and we could happily see ourselves drinking a few of these in a canal bar when the suns shining! 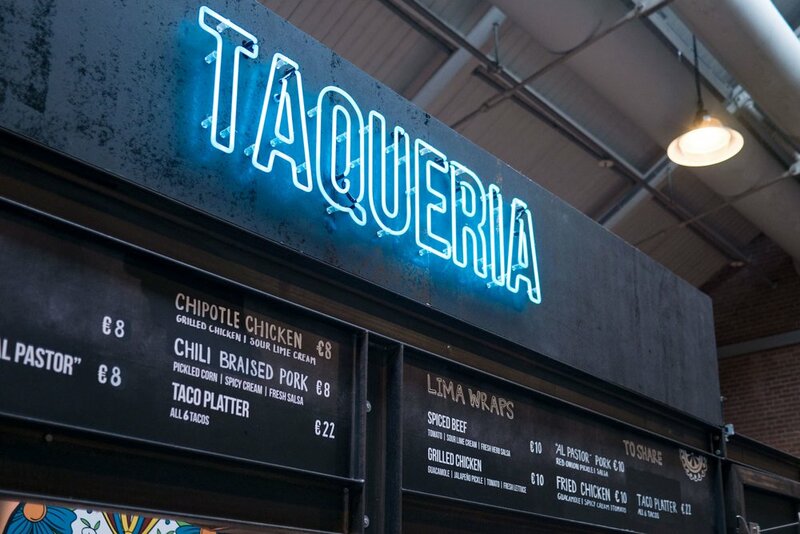 If this teased your tastebuds have a look at some of our other favourite street food halls; Manchester's best and Madrid's best.